At the beginning of the month I had a lovely extended May bank holiday in Snowdonia National Park with Hedd and my friends from secondary school. It was a great weekend and Hedd enjoyed showing my London based friends the delights of Snowdonia. We climbed Snowdon, climbed Cwm Idwal, took them to my favourite beach Newborough in Anglesey and of course to took them to Llanfairpwllgwyngyllgogerychwyrndrobwllllantysiliogogogoch! 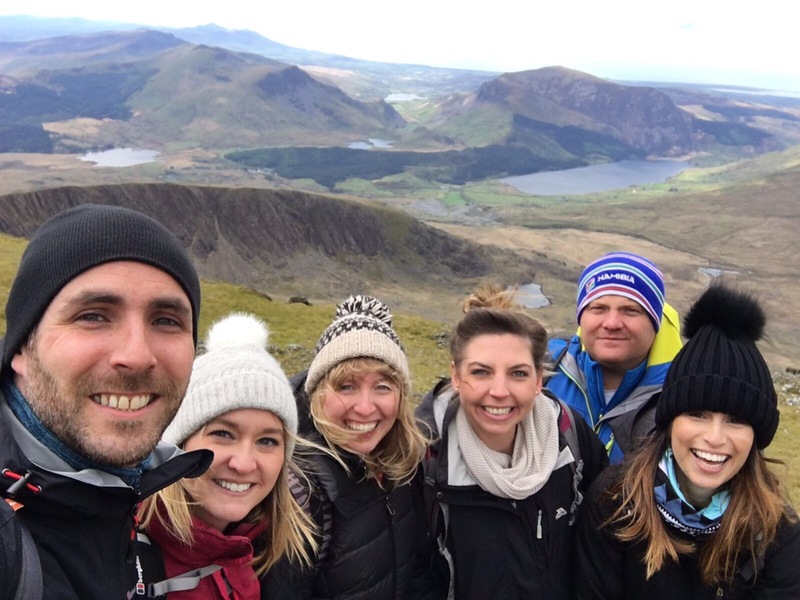 ​ ​I was so chuffed with our Snowdon climb. The visibility was fantastic. Plenty of “Mae h’in braf iawn” (it is very fine/glorious) on the way up! I’ve climbed Snowdon before but never seen the view from top before because it’s always been drenched in cloud. But this time the views were incredible. Plus a Welsh male choir reached the submit at the same time as us and treated us to a hymn which made the whole thing even more glorious! ​ ​Hedd and I stayed on a few days and saying Ta ra to the London crew. We climbed Cader Idris- known as the giants thrown. Great weather again but too hazy and test out the claim that from the top of Cader Idris you can see all the way to the Gower in South Wales to the Great Orm on the North Wales coast. Hedd and I conversed in Welsh all the way down….mainly about food and what we should have for dinner that night! We were obviously hungry after the climb! The month of May (Mis Mai) has been full of breaks away for hedd and I and so my daily learning on DuoLingo has been sporadic! Getting back my “gold coins” on after holidays when didn’t do it everyday is a bit of a slog if I’m honest and there’s been lots of repeating previous lessons instead of learning any new vocab which is a bit frustrating but it’s a good way to embed my learning! Mid may we had a lovely (hyfryd) weekend in North Wales celebrating my sister-in-law Teleri’s 30th birthday. 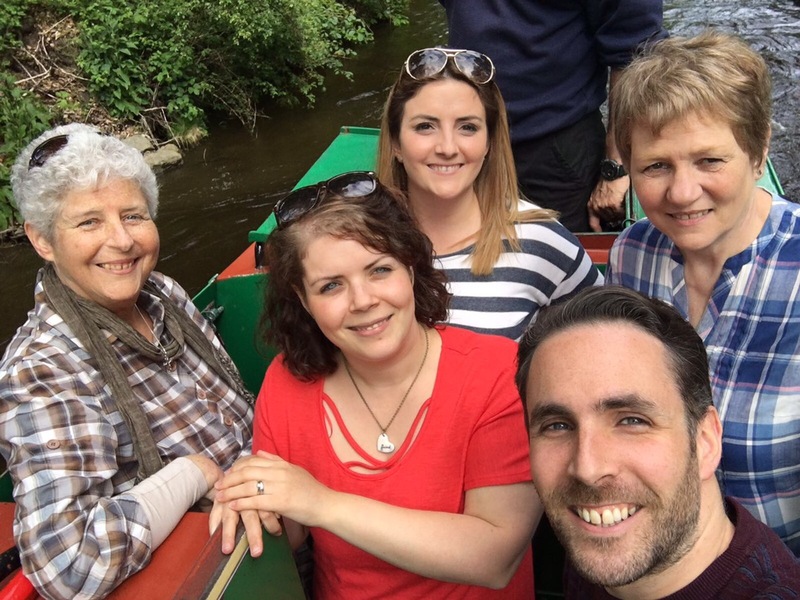 Fantastic day in Llangollen on a canal boat with the beautiful weather and friendly boat crew making for a great family day. On the Sunday we went with Beth (Hedd’s mum) to the “big breakfast” at Gellifor Capel in support of Christian aid…all very Welsh. And I conversed yn gymreag with some of the parishioners. After a few “rabbit in head light” moments after each question they asked me, I enjoyed practicing my Welsh with the support of my Vaughan-Evans family pointing me in the right direction with a few prompts! I even featured in the speech Nic Parry made to thank people for coming giving me a well done for learning Welsh! It reminded me how generous and appreciative the Welsh are with their language….they are so supportive, they love that I am learning and trying to speak it. I’m not going to lie, I felt a little in the spot light (!) but a big thank you to Nic and all the Gellifor Capel parishioners for their lovely support and encouragement. In this last week I’ve completed Challenge 11 of my SSIW course. So far I have learnt how to talk about myself and to other people. In Challenge 11 I have started to learn how to talk about other people….bring on the ability to gossip yn gymreag! This lesson I learnt the Welsh for ‘he’ and ‘he is’ = ‘o/fo’ and ‘Mae o’ and lots of sentence combinations talking about this fictional man! I found myself using the pause button more than usual…I felt out of practice with the format after not doing a lesson for quite a few weeks. I think I need to make sure I don’t pause so much next lesson me so not to start a bad habit! 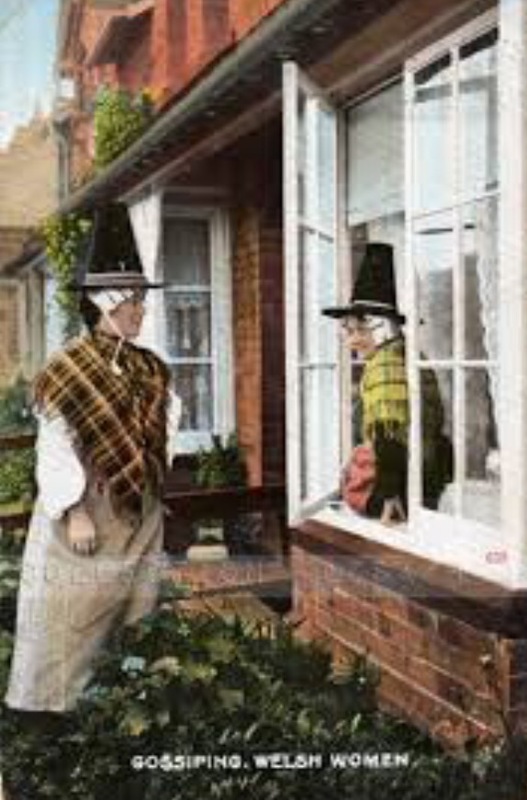 My ‘in the pursuit of Welsh’ journey continues…..
< Previous 10 lesson milestone reached!